It took me three visits to finally try this tiny little store, Garden City Kabob Grill, but definitely worth it! First time, I was 1 minute late and they closed, and second time, they weren’t open on a Sunday. 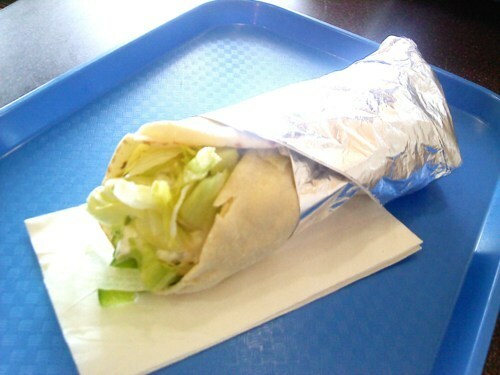 They offer a variety of Mediterranean and Middle Eastern food, such as wraps, falafels, platters, and spring rolls. An interesting item they have on the menu is their Taho (Soy Milk Pudding). Apparently it’s really delicious, but I have yet to try it! It comes with tapioca pearls and syrup as well. I actually only decided to try this place because a friend recommended me to try their pudding! But I wasn’t craving sweets that day, and tried their food instead, and it’s really good! Took a little long for the food to be ready, and the seating inside reminds of a Subway or fast food restaurant with the tray and all, but the food is still great! No need to tip that way!